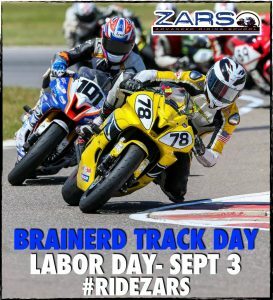 Brainerd Labor Day Track Fest! It’s the Brainerd Finale for 2018! Come and ride Labor Day! 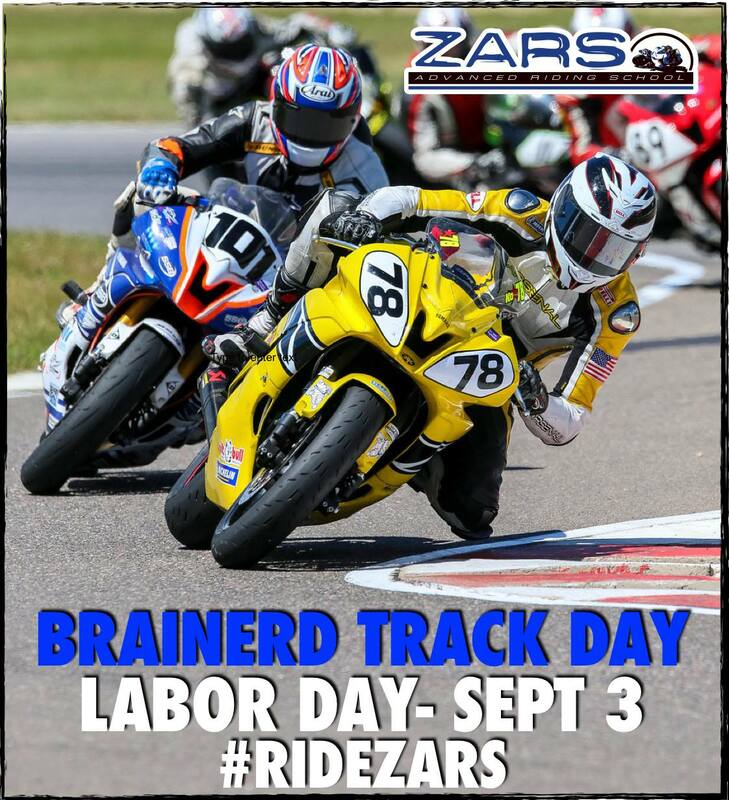 Zalusky Advanced Riding School offers riders the opportunity to participate in Track Days or Schools at Brainerd International Raceway in Brainerd, Minnesota, and Road America, Elkhart Lake, WI. Track Days are opportunities for riders to get on the race track. It is a controlled environment that will allow you to ride your bike without the distractions of the street. Whether you ride a sportbike or a touring bike, the capabilities of the modern motorcycle usually exceed those of the rider. This is especially true of the beginner rider on a new sportbike. Our Track Day format allows for riders to get the maximum amount of open track time. We will have 3 rotations of groups: Novice/Intermediate/Advanced (see rider classification below). Each group will have approximately 20 minutes on track each hour from 9am-6pm at Brainerd and 9am-5pm at Mid America. We have control riders floating around in all groups to monitor riding and to assist riders to ensure a positive experience for all.